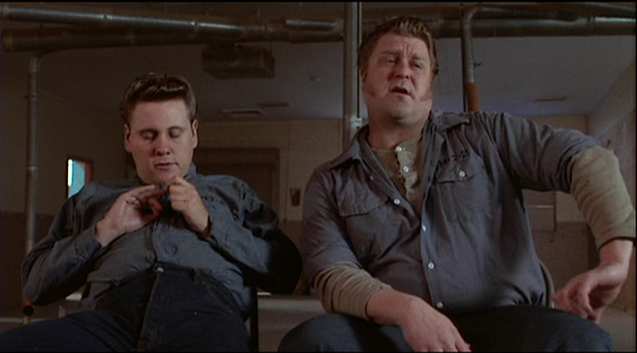 Raising Arizona is a beautifully-executed textbook case of the use of parallel characters. As with any new father, Hi is freaking out. Who is he now? How much should he change himself in order to become a better father? What’s the worst-case scenario, either way? As always the best way to externalize these internal fears is through the use parallel characters. 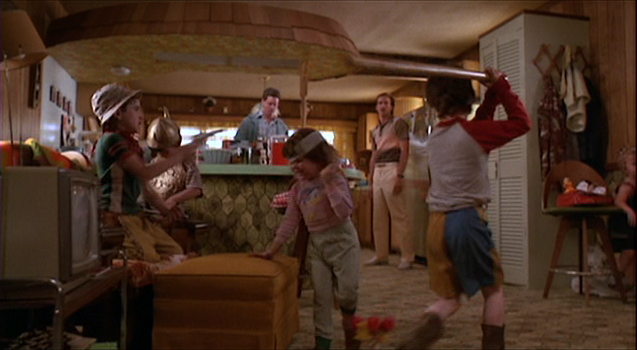 The movie centers around three couples: Hi and Ed in the center, Gale and Evelle (brothers, not spouses) on one extreme, and Dot and Glen (Ed’s sister and brother-in-law) on the other extreme. PRISON COUNSELLOR: Most men your age, Hi, are getting married and raising up a family. They wouldn't accept prison as a substitute. GALE: Well, sometimes your career's gotta come before family. EVELLE: Work’s what's kept us happy. GALE: It’s just the beginning of a spree to cover the entire southwest proper. And we keep going until we can retire. Or we get caught. EVELLE: Either way, we're fixed for life. If we had just one contrasting couple or the other, then the answer would seem too easy: a Goofus-and-Gallant choice between the right way and wrong way, but seeing these two equally-awful outcomes stresses how hard it is to choose the right path. This movie has lots of voiceover, but we don’t need to hear what Hi’s worries are, because we see the two lives he fears most manifest themselves before his eyes.